PSYCHOMETRIC INCORPORATED, a sister organization of Salahkaar Consultants is pleased to bring to you a Certification Program in ‘EnergicKTM Healing’ for Wellness and ailments cure. This program is designed for those budding and seasoned professionals who are interested to gain expertise by mastering the theory and practices of EnergicKTM Healing. The course will also help those who are already working in this field as trainers, counselors, healers or as psychologists and want to be more visible and credible in the profession by deepening their knowledge and skills. The program is also meant for those who may be new to such fields as Healing, counseling or currently practicing different therapeutic techniques. The fields of EnergicKTM Healing have focused on improving health and well being including stress and trauma management of individuals. 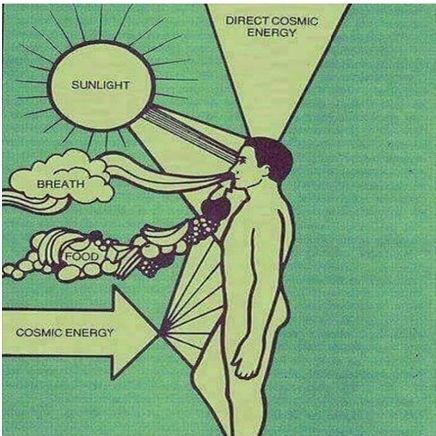 EnergicKTM Healing is a holistic approach that looks beyond the physical to manipulating the subtle energy systems (meridians, auric bodies, chakras, nadis) where the cause of the dis-ease can be located. Energy healing therapy is a powerful approach to wellness that can revolutionize life. Behind the scenes of our beautiful world, an unfathomably complex network of energy fuels and connects everyone and everything. By learning to understand and apply this energy as medicine, people can powerfully steer their lives in better directions by healing what ails us and encouraging our vast personal potential for health, happiness, and meaning. This CERTIFICATION PROGRAMME will provide the participants with theories, processes, skills and hands-on guidance and mentoring (practices) needed to become an EnergicKTM Healing Practitioner. help individual to cultivate the subtle energy that the universe is creating and gives to all free. establish standards of professional practices so that practitioners and healers know the performance standards with regard to EnergicKTM Healers’ competency and their standard of ethical and spiritual behavior and practices. provide quality assurance to practitioners and counselors, learners and other stakeholders that the knowledge, skills and practice of the EnergicKTM Healing will be of international quality. Life time opportunity to get trained by the top and highly knowledgeable trainers in this field who invented the entire process of ‘PranicKTM Healing’. Guaranteed benefits to the participants in learning as well as Healing. Aimed to make participants a subject matter practitioner. Tested and standardized modules and case studies are used. Ongoing learning for longer duration post workshop will be supported on continuous basis for one year as we are committed to support the idea by ways of e-groups post and book reviews for participants. Some online webinar will also be provided to participants. Possibility of interaction and collaboration with national and international participants and very senior professionals from this field like counselors, psychotherapists, healers, psychic readers, etc. Focused attention to each participant for learning as well as personal problems (if any) as the maximum intake for the program is limited to 15 participants. Introduction to Healing and Wellness. Types and causes of Physical, Psychological and Psychosomatic Ailments. How to make Law of Attraction effective? Some Formula for living and how to implement them for transforming lives. EnergicKTM Healing-Hands-on practices to deal with the causes of ailment. This program is for those individuals interested in advancing their professional skills in the field of Healing, Wellness and alternative medicine/therapy. They will be able to understand the concept of EnergicKTM healing, some of its types, its process and importance. Learn practical skills and to develop the capability to heal themselves as well as others. Opportunity to learn EnergicKTM Healing by facilitators who has originally conceived and developed the technique itself and has several years of unique experiences in this field. Got certificate of “Dharam Visharad” (Equal + Graduation) at the age of 15 years. He was invited to present papers as well as chair scientific / academic sessions at International Congress of Psychology at places like San Francisco, USA, Holland, Cambridge University and in various other national and international seminars and conferences in India and abroad. Declared Man-of-the year (1997) by the ABI, U.S.A. for his leadership and academic excellence. He was offered foreign Honorary Affiliate Membership of American Psychological Association, USA and full Hon. Membership of the International Association of Applied Psychology (IAAP, Head Quartered in Holland) for three successive years at the age of 30 years old. He has visited on academic assignments and as visiting faculty to several national and international institutions including the Universities of Cambridge and Loughborough University of Science and Technology, UK, Academic Staff College of Bank of Baroda, etc. to name a few. He was declared ‘National Associate’ by the University Grant Commission, New Delhi, at the young age of 29 years. I admire and highly appreciate the knowledge and candid sharing by Dr. Daftuar - Dr. Soniya S Yadwalkar, Head -HRO, Anakin Management Consultants Pvt. Ltd. I don't think any other company in South East Asia is as competent as you are. Great show, keep up the good work - Pranav, HCL Tech.